These days London is gifting us with warm sunny days that look like a miracle. Even more for an Italian recently moved to London like me, who found the first British-winter extremely hard to face. (My body is still trying to get used to the constant wind). Luckily, as soon as the sun brights in the sky, the brain fills up with endorphins and all the Vitamine D taken the whole fall starts to show its effects. A shiny Hyde Park at all its splendor is the context in which the Christo’s Mastaba is located. Right in the center of the Serpentine Lake stands out this massive trapezoidal Mastaba. That is the name with Egyptians used to call tombs in ancient Mesopotamia. It is not clear whether there is a connection between this work and the story of Mastaba itself. 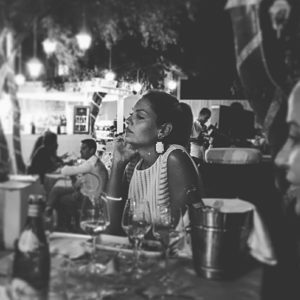 “All interpretations accepted”, declared the artist at the opening of the floating installation. Christo is not new to controversial works of art. The political situation of Europe by the time he grew up has influenced his career as an artist throughout his whole life so far. His early education happened during the Soviet Socialist government and once moved to Hungary from Bulgaria, he later was forced to flee due to the Hungarian Revolution broke out. After years spent as a political refugee, he established in Paris in 1958, where he met his future wife Jeanne-Claude. 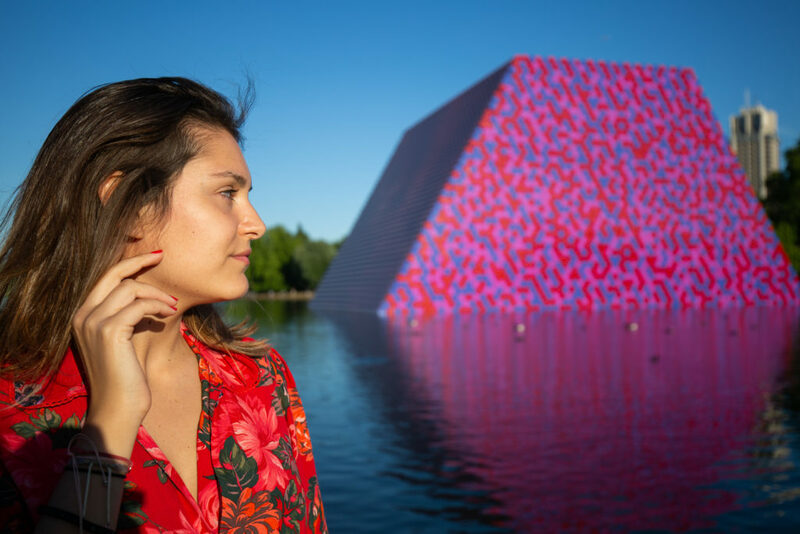 The two artists together realized large-scale and site-specific installations, wrapping buildings and pieces of natural landscape, and enclosing entire islands with fabrics. The recent “Floating Piers” at the Iseo Lake in the north of Italy is an example. Christo and Jeanne-Claude made works that stand out as some of the most grandiose, ambitious, monumentally-scaled artworks ever. 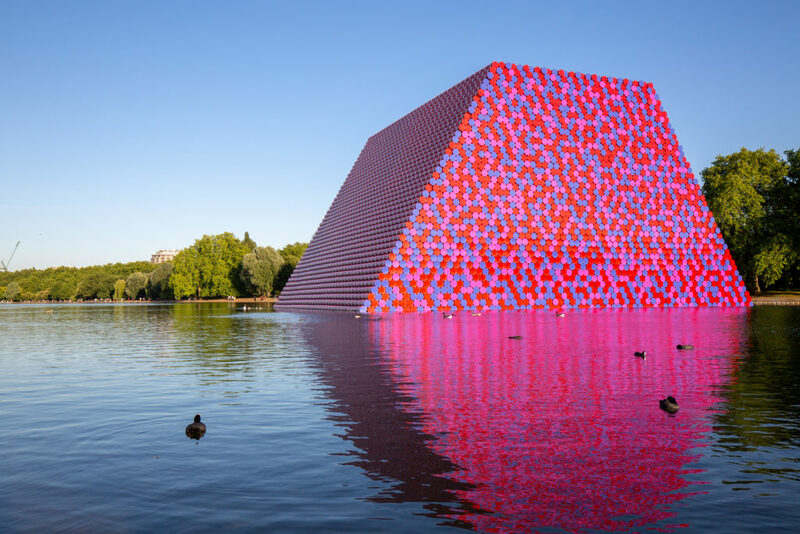 Christo’s Mastaba Lido view, Serpentine Lake, London, June 2018. Although usually, Land Art plays with the dualism of melting with its surroundings while being something extremely extraneous, Christo’s art appears to push just the last concept. The artist works rely on creating a strong contrast with the other elements of the site in which they are located. For this reason, the Mastaba’s barrels are painted in white, red and lavender colors, which contrast with the blue-greenish external environment on purpose. The sculpture consists of a 20-meter-high installation made of 7,506 horizontally piled barrels, which are binds together by an invisible engine. The shape is pyramid-like but with the tip edge cut. The artwork is free to all and it is entirely funded and created by the artist himself, using incomes from his original works. It represents a specific choice to promote the idea of total and unconditional freedom of being an artist. He has never used public money or private sponsorship in order to create his art. A massive message of hope for those independent artists who are trying not to be involved in the common art market dynamics. 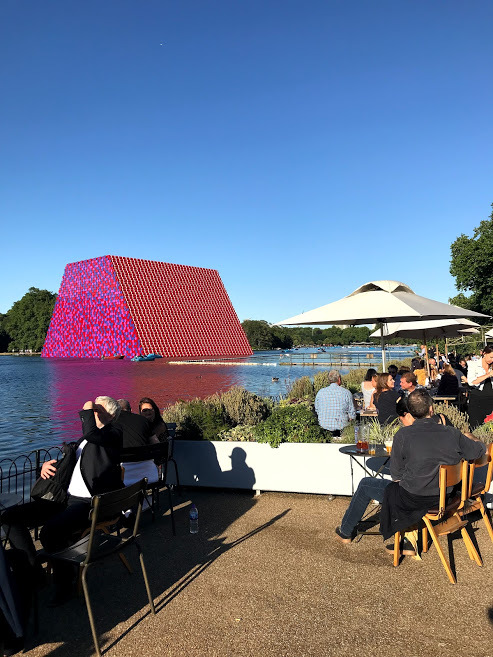 The installation lasts until the 23rd of September, and it comes together with a retrospective exhibition of Christo and Jeanne-Claude at the Serpentine Gallery. I hadn’t the chance to see the Floating Piers when I was still in Italy, therefore I am so happy now to be able to enjoy this grandiose work of him which is the first large-scale public-sculpture in the UK.